In this edition of Muscle Car Milestones, we’ll take a look at the 1977 Pontiac Firebird Trans Am Special Edition. For many of us, this car defined the muscle car in the late 1970s. When other manufacturers had reduced their muscle car lineup or quit building them altogether, Pontiac kept the Trans Am alive with several special editions in the late 1970s. The 1977 Trans Am Special Edition was the most popular of all the special editions because of the movie Smokey and the Bandit. Burt Reynolds’ name may have been on the marquis, but the Trans Am Special Edition was the star of the show. Let’s turn back the clock 40 years and see why the 1977 Firebird Trans Am Special Edition is one of the most sought after muscle cars from the 1970s. “The Trans Am Firebird SE is one of those rare cars which is more than the sum of its parts. It is a touring car, a sport coupe, the sole survivor of the muscle car era.” Chuck Koch, Auto Reports, March 1977. The 1977 Firebird Trans Am Special Edition is easily identified by its Starlight Black paint, gold striping, gold grille inserts, and gold accented snowflake wheels. Other standard equipment includes a rear decklid spoiler, dual chrome splitter exhaust extensions, and front air dam. The interior features a gold engine-turned instrument bezel, gold-accented steering wheel, and red Firebird emblems. Buyers could even order really cool options such as a citizen’s band radio and underdash 8-track player. The Special Edition could be ordered with Y82 Hurst t-tops or as a Y81 coupe. Pontiac offered three engines in the 1977 Trans Am Special Edition. First up was the L80 Oldsmobile 403 V8. This engine was primarily used in California and other high altitude locations. It was rated at 185 horsepower and 320 foot-pounds of torque. Second was the L78 Pontiac 400 V8 with 180 horsepower and 325 foot-pounds of torque. If you wanted a little more oomph under the hood, the W72 Performance Package was the way to go. This package included a version of the L78 Pontiac 400 with 200 horsepower and 325 foot-pounds of torque. An interesting side note is the NHRA tested the L78 engine and found the horsepower to be closer to 260 horsepower. Understating horsepower figures with muscle cars is nothing new. Auto manufacturers have done it for years to keep the insurance companies and Uncle Sam off their backs. Pontiac also did this with the 455 Super Duty from the Firebird and the Ram Air 400 from the GTO. In their April 1977 issue, Car and Driver flogged the W72 Trans Am and got a 0 to 60 time of 9.3 seconds and ran the quarter mile in 16.9 seconds running 82 miles per hour. By today’s standards, that’s pretty slow. Today, a 4-cylinder Toyota Camry can go from 0 to 60 in 8.5 seconds and sprint the quarter mile in 16.5 seconds. In their review, Car and Driver proclaimed “in general the Trans-Am remained what it was when introduced in its most recent form during the middle of the 1969-1970 model year: the sportiest, most roadable four-place automobile built by an American manufacturer”. Where were you on May 27, 1977? Many of us were at the local movie theater or drive-in to see Smokey and the Bandit on its opening night. And when the Bandit drove that Starlight Black Trans Am out of the back of the semi trailer, you knew you were in for a wild ride. The story goes that film director and stunt man Hal Needham and Burt Reynolds were trying to figure out what car to use as a chase car in the movie. Once they saw the Special Edition Trans Am in the 1977 Firebird brochure, they knew they had found what they were looking for. Incidentally, Smokey and the Bandit was the second highest grossing movie for 1977. A visit to hagerty.com reveals some surprising valuations for the 1977 Trans Am Special Edition. Values range from $17,500 for a Special Edition in fair condition all the way up to $70,200 for a vehicle in concours condition. By the way, a Special Edition once owned by Universal Studios and Burt Reynolds that was used to promote Smokey and the Bandit auctioned for $550,000 at the Barrett-Jackson Scottsdale 2016 auction. This car also set an auction record for the amount paid for a 1977 Trans Am Special Edition. Even after 40 years, the 1977 Pontiac Firebird Trans Am Special Edition is still one of the most recognized Pontiacs ever built. It brings back memories to a time when disco, drive-ins, and CB radios were still staples in American culture. Few cars can match the popularity this car possessed back in the late 1970s. 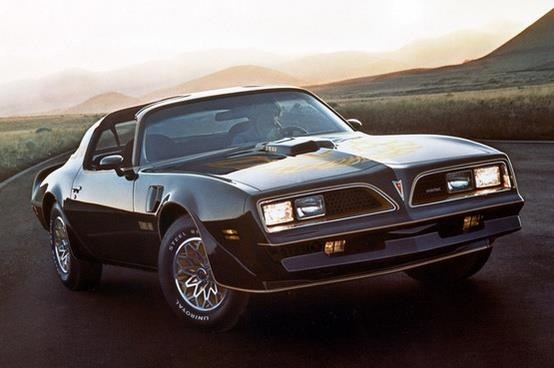 Pontiac may no longer be around today but our memories of the brand and the Trans Am will live on forever. Headers aluminum high rise intake. Holly 780 dual line carb crane fireball cam. And a Morosso air cleaner. Also accel ignition yep.